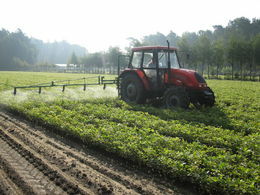 We recently had our Amazone UF1801 boom sprayer converted into a CDA sprayer for work on our 1000 hectare farm. Fitted with Micron Micromax rotary CDA atomisers, the converted sprayer allows us to use as little as 30 litres per hectare with excellent results. I'm confident it is providing the crops with the same protection as a conventional sprayer. What is more, we have reduced the amounts of chemicals used - in some cases by a half. 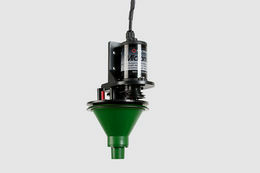 Designed for vehicle-mounted blanket applications, Micromax is a spinning disc rotary atomiser for Controlled Droplet Application (CDA) of most water-based agrochemicals including herbicides, insecticides and fungicides. Thanks to the low-volume CDA technology, Micromax produces only the spray droplet sizes that are appropriate for the particular application resulting in considerable savings compared with hydraulic nozzles. Optimum droplet sizes also minimise any risk of environmental contamination. Low volume application allows lower chemical dosages and economical use of adjuvants. It also enables the use of lightweight spray vehicles for minimised soil compaction. Because of the lower liquid requirement, greater areas can be sprayed per tank load delivering savings in terms of cost, time and effort. The electrically driven Micromax can be powered using the vehicle battery and can be mounted on tractor booms or ATV’s. The unique disc design ensures controlled spray atomisation over a wide range of liquid feed rates. One of three disc rotational speeds, and thus varying spray droplet sizes, can be selected to fit different applications. 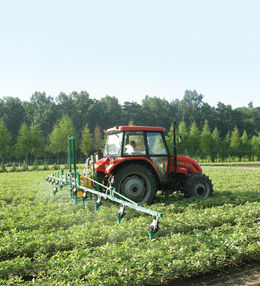 Atomisers are also available in a segmental Micromax 120 version which produces a flat fan shaped spray pattern for uniform deposit of spray over the swath, making it ideal for band spraying in under trees in orchards and vineyards. The swath width of the unit can be varied to suit different applications. Highly economical, Micromax 120 features an internal venturi system which re-circulates unsprayed liquid. A choice of three disc rotational speeds allow close droplet size and range control to suit specific requirements. Its low volume advantages (15 – 60 litres/ha) make it ideal for ATV’s and vehicle-mounted amenity and industrial spraying applications where precision and minimising any risk of environmental damage are vital. 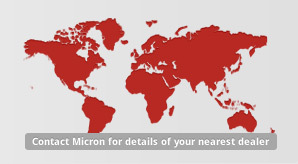 Micromax is also available as the DR4 direct drive version for blanket applications.